Bual or Boal, there doesn’t seem to be a wrong answer. Brits call it Bual, the Portuguese call it Boal, but since the Brits have been intimately involved with Madeira since about the time of the previous Elizabeth, people don’t seem to care much. 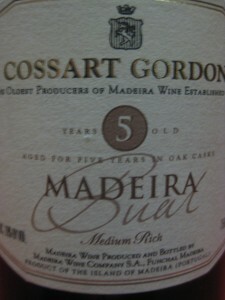 Both names are used to identify the second-sweetest grape grown on the island of Madeira (#1 sweetest grape is here), which is off the coast of Morocco but is very much Portuguese. Why is Madeira a part of Portugal? Partially due to Portugal’s glory days back in the 16th century when its caravels (thank Sid Meier’s Civilization for that term) roamed the world, dropping in on Goa, Angola, Mozambique, Rio and Malacca. Partially due to the same reason that England controls the Falkland Islands just off the tip of Antarctica – they’re willing to fight anybody (especially Argentina’s 1982 junta) to remain in control of those islands. But back to Bual – it’s not exactly my favorite. There – it’s confessed. Despite making Madeira, which is categorically awesome and having loads of fans in the tiny world of Madeira lovers, Bual always seems to be too over-the-top to me. He’s the guy who responds to the email list after the conversation’s over with that one extra reply. Too much buddy – should’ve left it as it was. My sister can corroborate this fact too, possibly because she’s the only other person who says “Too much buddy,” and also because she tried two of the Madeira grapes with me. Both the Boston Bual down below and the non-noble Tinta Negra. We both preferred the ignoble grape to the noble Bual, which I like to think suggests our American distaste for aristocracy. Could be it’s a problem of young Buals (Madeira Maven thought the same till he tried really old ones), but of the couple of Buals that have reached my throat, they’re too much to handle on their own. They need the promise of dessert to calm them down and make them behave (think: children). Maybe it is a matter of youth after all. Two different tastes of the grape and two pretty different yet somehow related impressions of too much acidity/structure. 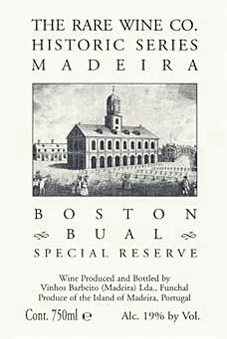 First up, the preferred of the two – Boston Bual Special Reserve. Carmel nose, apple taste, slightly sharp finish with lots of pear. 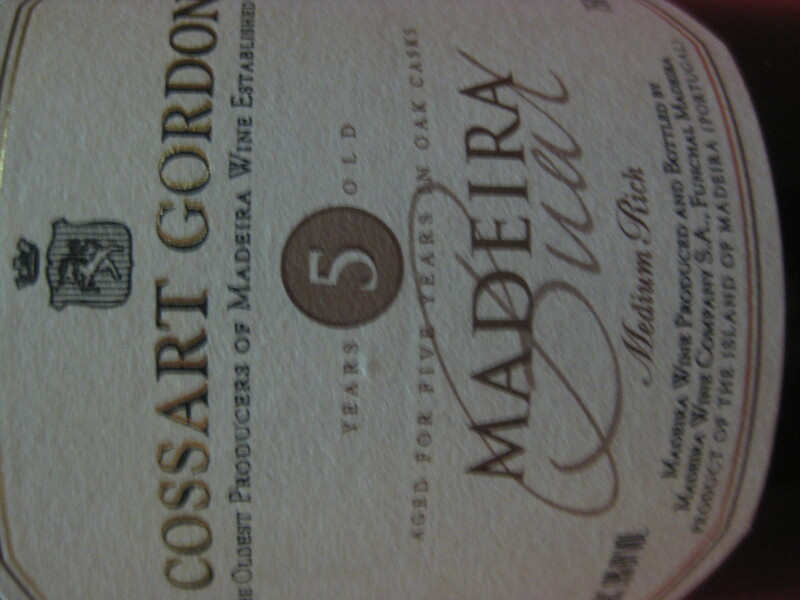 Then, the Cossart Gordon 5 year Bual. Smells like oranges and a little like pepper spice. Tastes very acidic with another shipment of oranges to the tongue. Boston Bual Special Reserve – one of the creative RWC Historic Series Madeira. Well worth checking out as the gateway to Madeira-dom (h/t for image). * Malmsey > Bual > Verdelho > Sercial, the sweetness order of Madeira (“My Bottle Vesuviates Sweetness” is the mnemonic device). * Bual is a white grape that turns out the darkest shade of all the Madeira wines. Strange to be sure. * Bottle of 1834 Bual can be yours today if you have an extra $980 sitting around your den. To put it in perspective, Abraham Lincoln turned 25 that year.